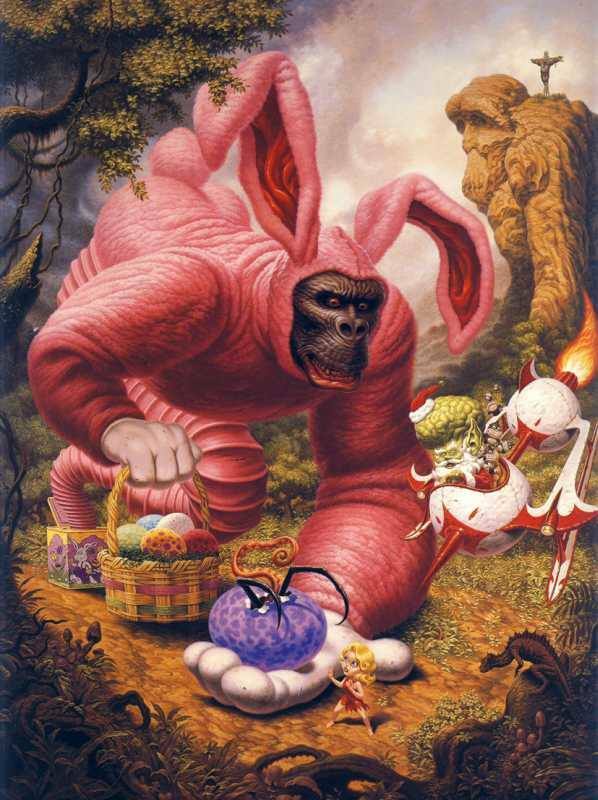 King Kong has a Skull Island holiday treat for his favorite lady, Ann Darrow, courtesy of artist Todd Schorr. While the armies battling to place their king on the Iron Throne on HBO’s GAME OF THRONES seem to be more interested in killing each other than winning the hearts and minds of the populace, at least one enterprising artist is willing to fight that battle by creating these cool World War II-inspired propaganda-style posters. You can buy prints of these great paintings by artist Olivia Desianti to hang on your wall at her Etsy shop or from Society6. 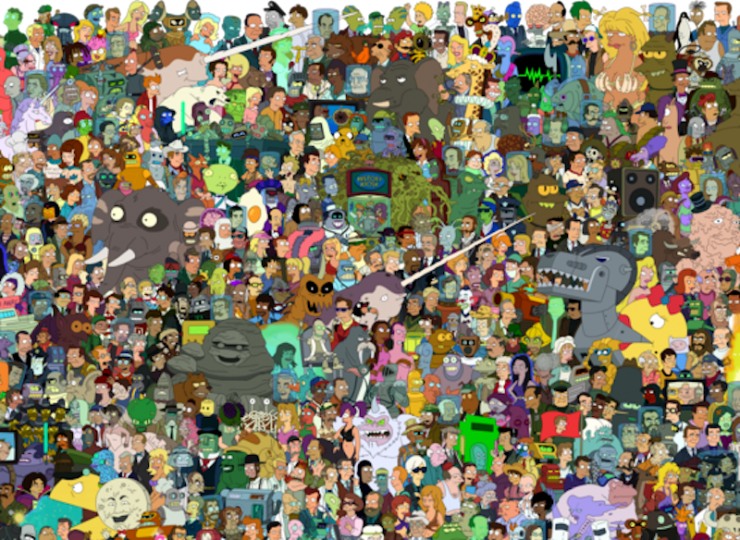 Australian artist Unrellius spent 14 months drawing this definitive cast picture of the late, lamented FUTURAMA and posting it on deviantART. “Unless you’re thinking of an incredibly minor character, they’re most likely somewhere in the picture,” explains Unrellius. You can download a high-rez version from his page.